We arrived from the Saints into Prince Rupert Bay at about 6 pm. The sun set shortly after we arrived. When we were about a mile out, we were approached by one of the PAYS guides. 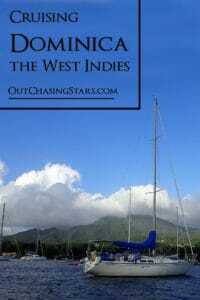 We did two fun tours in Dominica: the Island Tour and the Indian River Tour. 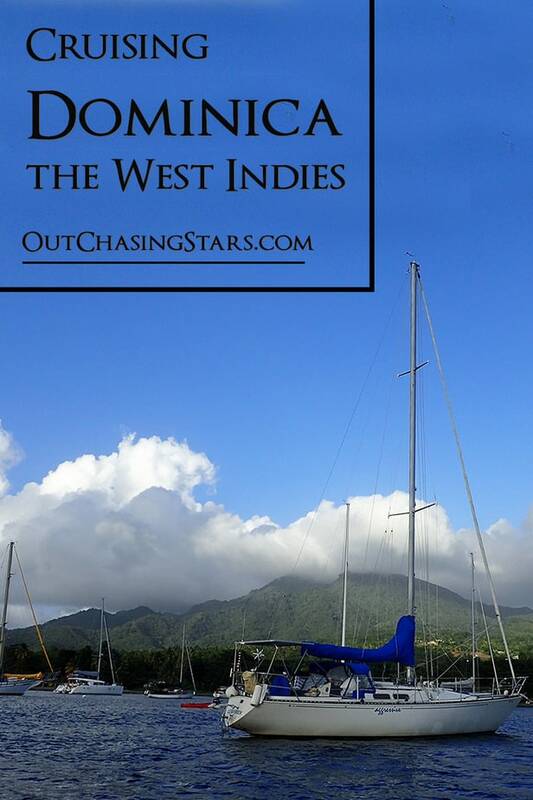 Portsmouth is the only place to clear in and out of Dominica, and while there are a few anchorages down the coast, we decided the allure of the cruising community was too good to pass up and stayed the whole time in Portsmouth. 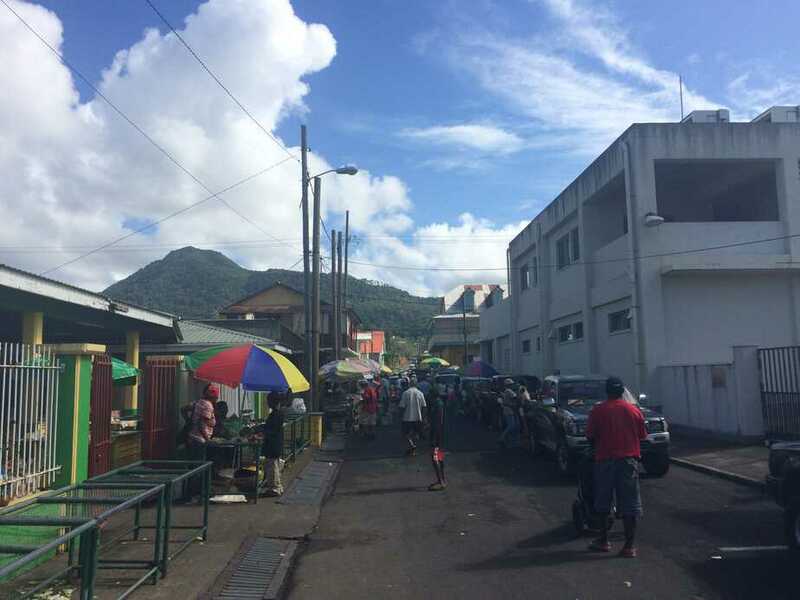 Dominica used to have a really bad reputation among cruisers for security and for the “boat boys” – men in small boats that would provide services. It was very disorganized, but a few years ago they started an organization called PAYS, or Portsmouth Area Yacht Services (or Securities). They have arranged for security and patrols in the anchorage so crime has dropped significantly. Unless you have a specific guy waiting for you, the PAYS guys are first-come-first-serve. Pretty much every visiting yacht gets one. Ours was Titus from Lawrence of Arabia Yacht Services. 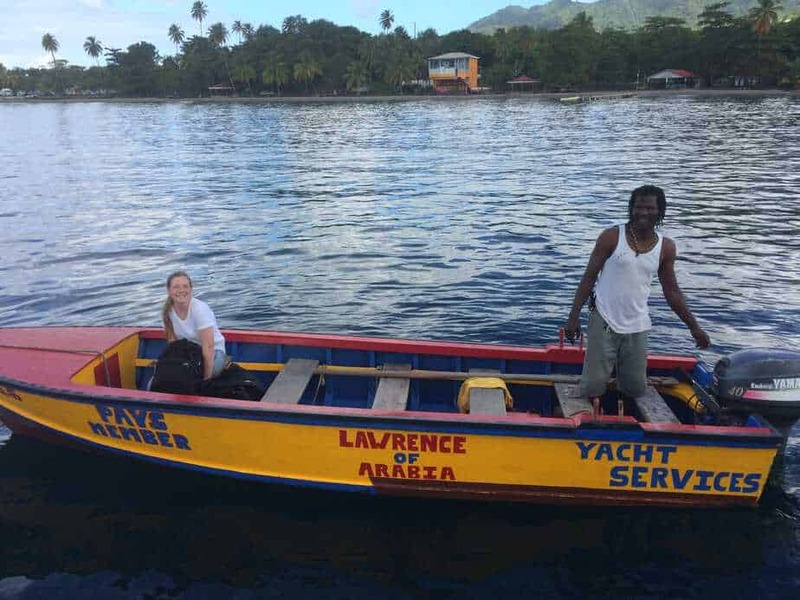 The guides welcome you to Dominica and help you with anything you need. Since we got into Portsmouth so late, we missed the regular hours for customs, so we had dinner and planned to check in the next morning. In retrospect, since it was Friday night, we were paying for special hours regardless of going Friday night or Saturday morning, so maybe we should have just gone that night. And, FYI, clearing in on a Saturday morning only cost us $13 EC. David took LD to customs and unfortunately it took him quite a long time since we were arriving with Sarah but leaving without her. In the meantime, I was trying to get internet to work out on the boat. The week of HotHotHotSpot that we paid for was not working at all. I went to the Purple Turtle bar to try to sort it out. The Purple Turtle has amazing wifi – I was able to make several calls to family and catch up on all the internets! By the end of the day, HotHotHot was working, and with our Bad Boy Wifi extender we could get the Purple Turtle wifi on the boat, and then PAYS offers a wifi too. None of them are fast on the boat, so we ended up paying for the Winet wifi (2.5 Mb/s) but if we really need fast internet we would go to Purple Turtle again (12 Mb/s). When he got back Sarah and I took a quick trip to the Saturday morning market. 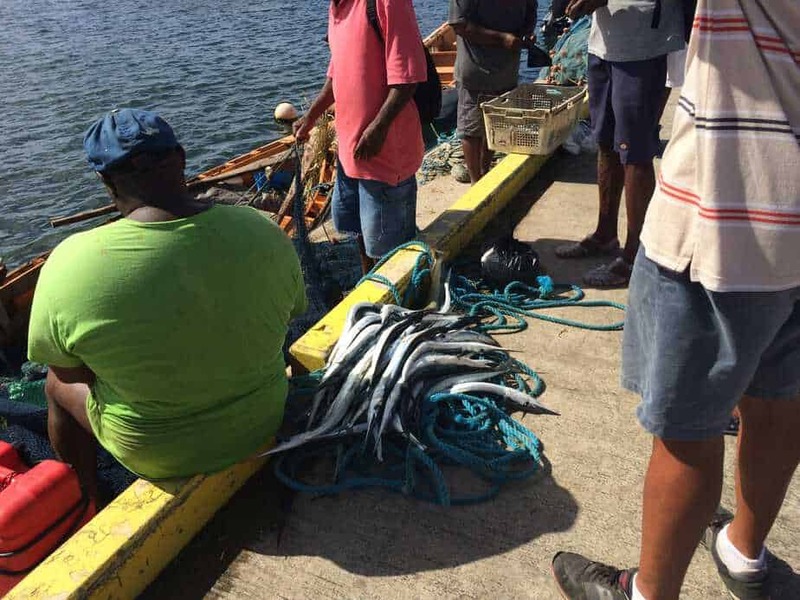 We saw all kinds of produce (christophines, rosellas, plantains, etc) and one boat was offloading its fishing catch. 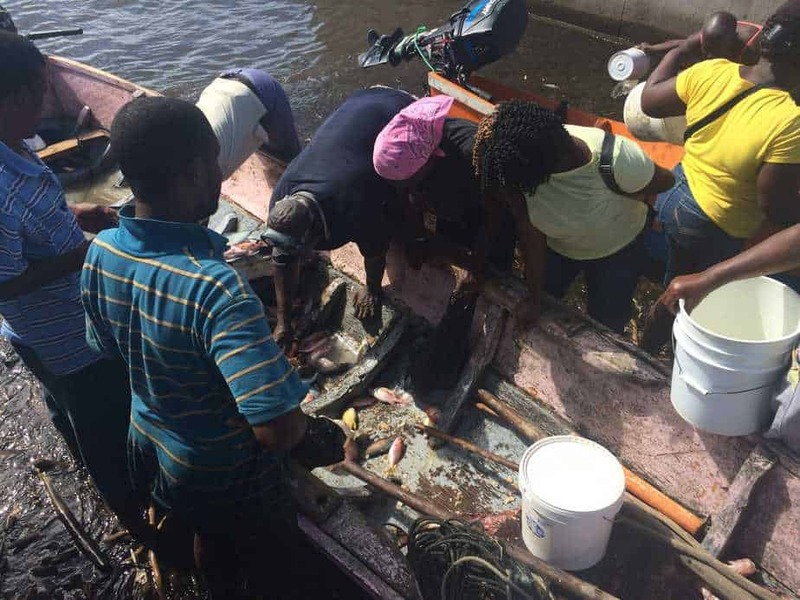 The catch was separated; lobster and Lionfish in the front for the restaurants, and then everything else ready to be sold to the locals at the dock. The everything else side was a wild hodgepodge of fish! Titus arranged for a taxi for Sarah to go to the airport. She left at 11 for a 2:30 flight. She said the drive was very scenic and like a tour. During the day we met Clair and Magoe, from a boat named Macario. We were actually familiar with Macario, a Leopard 46 that is from Waterford right near home. 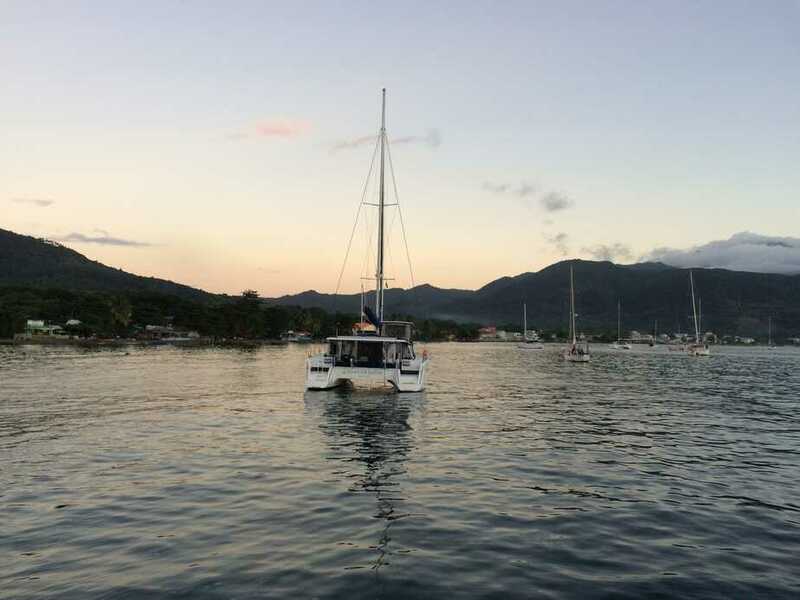 We had seen the boat at the dock for two years while the owners were living in Malaysia, but now Clair and Magoe live aboard and have started a nonprofit for social initiatives in Dominica. 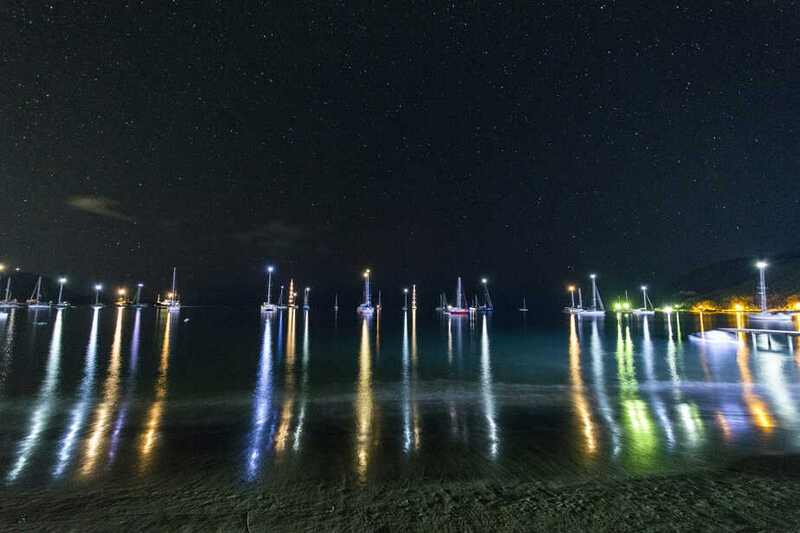 They kindly invited us over for drinks that night, and we enjoyed the view of Starry Horizons from Macario. Sunday was a quieter day for us. After having had guests on the boat for three straight weeks we were ready for quiet! David and I read, napped, and David even got a boat project done – fixing our door lock. That night, it was the PAYS BBQ. This is one of their big fundraisers, which they do every Sunday night. There is a DJ, and for $20 USD each it’s unlimited rum punch and juice, and a buffet with mahi mahi, chicken, salad, and rice. It seemed like all the cruisers in the anchorage were there – probably 100 people, plus some locals and most of the guides (Titus and Marcus included). Monday I split off for a bit. As I was heading to the dock, there was a guy trying to flag down (I think) one of the PAYS guys for a ride back to his boat. I asked if he needed a ride (I’m always down for a deposit into the boat karma bank). He accepted and I turned off to find his boat. 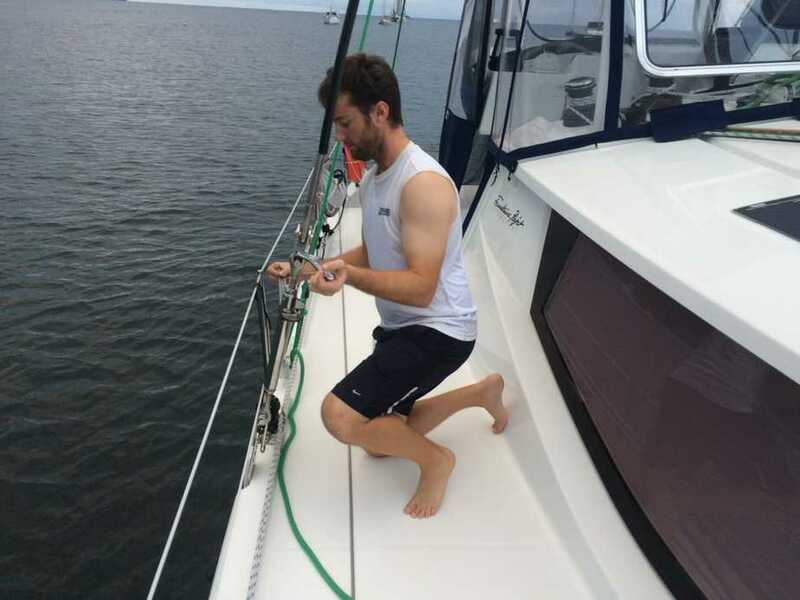 Turns out he was on a very large and beautiful monohull way at the edge of the anchorage. I am a little embarrassed by what happened next. The rest of the crew was coming to the rail to talk to me and their accents were so thick. I did get that they invited me up for a beer, which I waved off, and that the owner was ashore so essentially it was crew playtime on the boat. Embarrassed by my inability to understand their accents, I shrugged it all off and waved goodbye. Looking back, I really regret that I shied away from an opportunity to make new friends. I always have a hard time with accents, and it’s especially bad when you throw in talking to someone on the VHF. David understands things so much better. However, I definitely don’t want to be someone who only socializes with Americans or native English speakers. Plus, I so wanted to try to rope swing they had set up off the stern of the boat! Unfortunately, I didn’t get the name of the boat and they left the next morning. Oh well, a missed opportunity. Back to my scheduled plans. There’s a short farm hike that goes from the PAYS building to up the hill. The hike was a dirt road with not a lot of shade, and then vegetation obstructed the view at the farm. Back down at the beach, I stopped by the Purple Turtle to make some phone calls to catch up with friends, then headed back to Starry Horizons. The whole day was beautifully clear, and we had a stunning sunset. Tuesday was gray all day. I relaxed and started (and finished) a new book. David retensioning the cap shroud in our rigging. After cleaning up the mess, David dropped me off at the fishing dock for a chance to experience more of Portsmouth and do some shopping. I walked from the fishing dock south of town. I walked to the bus stop and then turned around. In retrospect, I wouldn’t walk that far again. It was recommended to us to take a bus to Picard, but the recommending person was an older male. Walking through as a woman in her 30s was quite a different experience. The bus drives were very aggressive and even a bit lewd. If I wanted to go to Picard, now I know to arrange something through Titus. The appeal of Picard is the larger grocery store (called IGA) and the university, which attracts international students and therefore is a bit more modernized. In fact, we drove past the college on the bus tour, and it’s a beautiful new building. In Portsmouth, I was able to find enough food to last us 8 more meals. There is a store, Tonge Meat Market, that sells meats (chicken, rabbit, goat, pigs feet, and cows liver). Posse Bakery had sliced bread, cupcakes, and meat pies. There are many small shops with dry goods, mostly canned food. David’s cereal options were pretty limited; the most popular items seem to be Wheatabix and corn flakes. 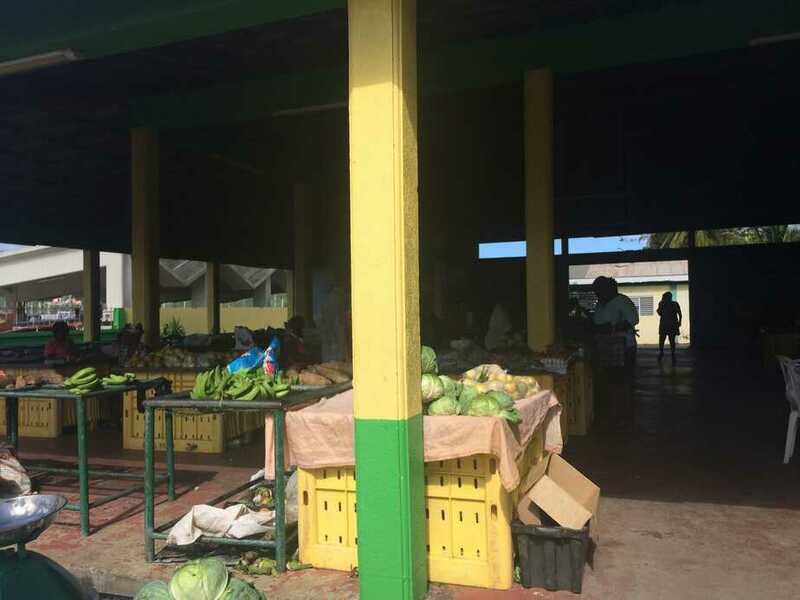 Produce is easy, at the market you can find plenty of fruits and vegetables. Passion fruit is particularly prolific right now. There is also the fish market. I purchased some Mahi Mahi ($8 EC/lb) and albacore tuna ($6 EC/lb). They charged an extra dollar for filleting. ($2.67EC = $1 USD). While walking back to get picked up, I ran into Magoe, and we talked shopping tips. Then, I ran into a couple on the beach, Geoff and Belinda. They knew me from the blog! I invited them over for sundowners that night. They are Australians here cruising with Allan as kind of a test run to see how they like the lifestyle before buying their own boat. In the afternoon I did yoga and cleaned up around here before Allan, Geoff, and Belinda came over. They very generously brought beers and cheese and crackers. We chatted about the Helia and videography. 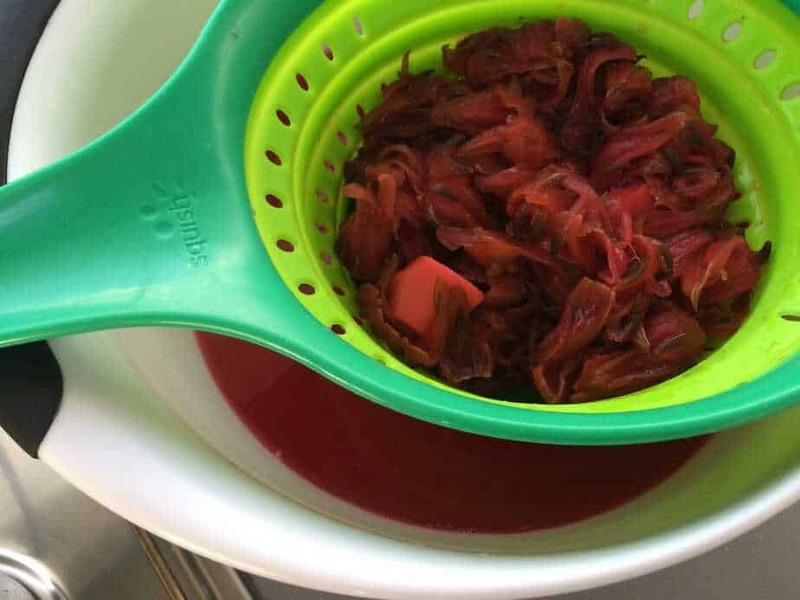 I served Sorrel juice, which the locals make from sorrel buds, also known as rosellas or wild hibiscus. I had bought sorrels at the market on Saturday. It was easy to make; boil with some spices (I used ginger) then strain and sweeten to taste. Friday David fixed our head, while I got to read and clean. Geoff, unnoticed by us, took his drone out and snapped some footage of Starry Horizons! Next thing we know it’s Saturday morning again and we’ve been here a week! 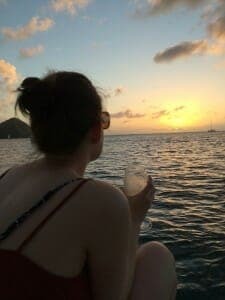 We don’t have any plans to leave yet, since we have until the 26th to get to St Lucia (90 miles away) and we are enjoying fast wifi and quiet time. 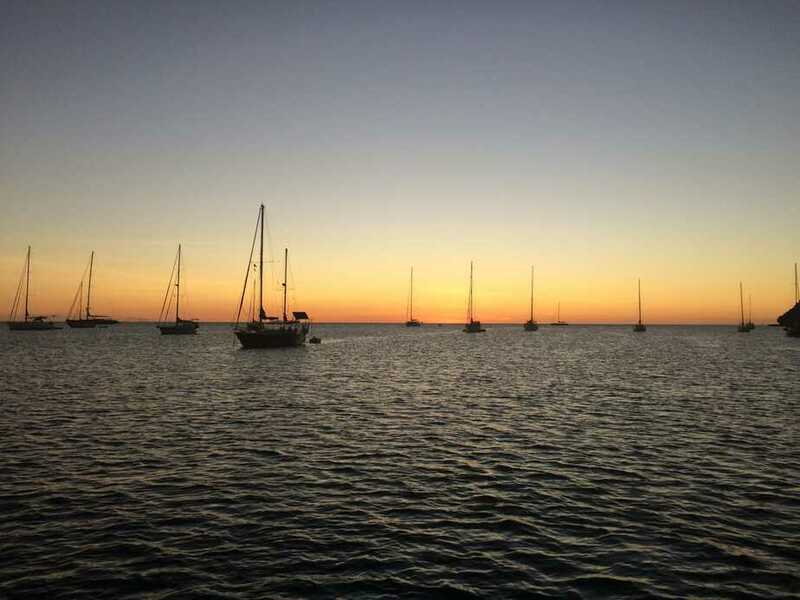 The sunsets have been exceptional, and the night times have too. Sometimes it is very still, and some nights there is a small sailing cruise ship in port, all lit up! On the 16th, Saturday, David and I went to the market in the morning, to stock up on produce. In the evening, we went with Clair and Magoe from Macario to have pizza at a place called Champs in Picard. It’s great for the cruisers, they will send a car to pick you up if you call. It’s popular with the college crowd, and the pizza was good. The next few days we spent having quiet time around the boat. What does that mean? Well, for David, boat projects. He fixed our heat exchanger on the water heater, and our shower pump. I spent time reading and doing a bit of research. 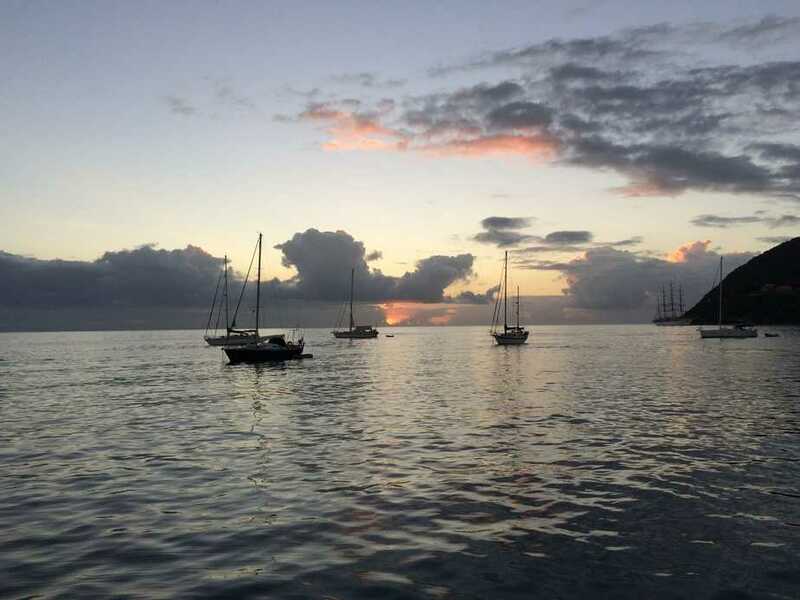 We had three big things to prepare for – our haul out in Grenada (scheduled for Feb 10th), our Panama Canal passage (early March? ), and then our next trip to the US (in June). On Monday, our friends Lisa and Nils on S/V Aggressive arrived into Portsmouth. 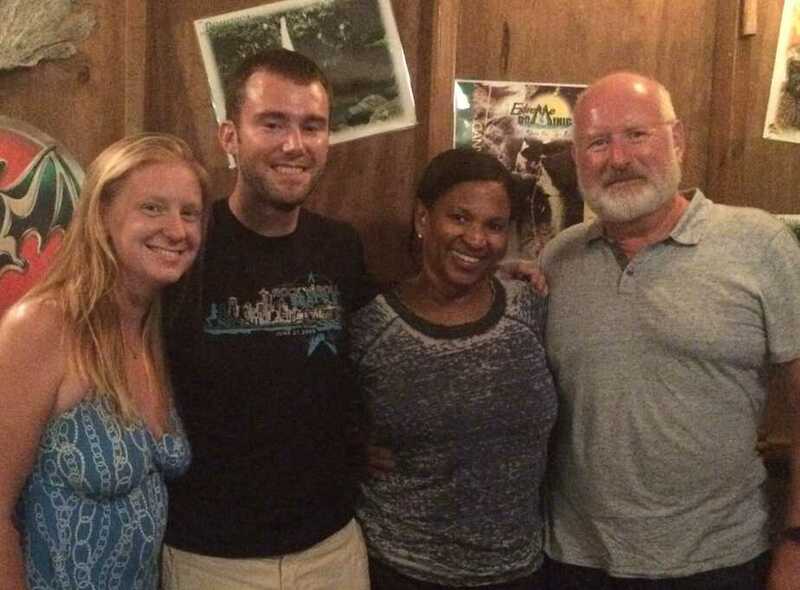 We met them in St Martin, although I had been talking to Lisa on Facebook for months before that and we just kept missing them in person. Tuesday Lisa and Nils came over after dinner to have drinks and plentiful conversation with us! On the 20th, I was feeling a little worse for war after all the drinks of the night before – ahem – so we canceled hiking. But the day was not without adventure. We had a Lagoon catamaran anchor in front of us. 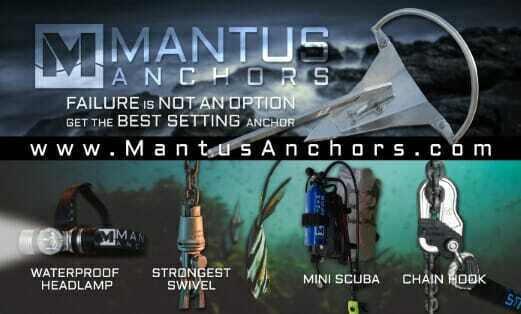 While the crew was ashore, their anchor started to drag – quickly! 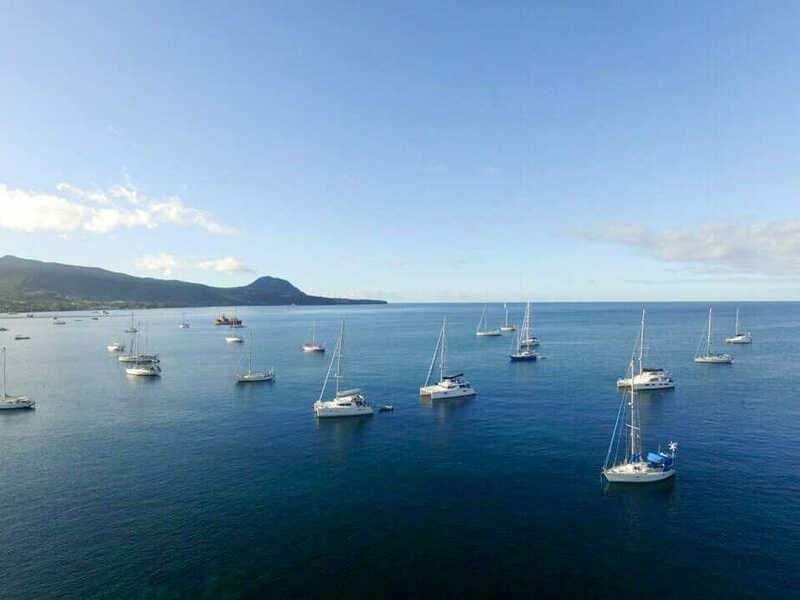 While they didn’t hit us, they very quickly dragged passed us and by the time David and another gentleman got onboard from the dinghy, the boat was over an occupied mooring – and dangerously close to its occupants; a FP Mahe charter boat that only had one woman aboard! 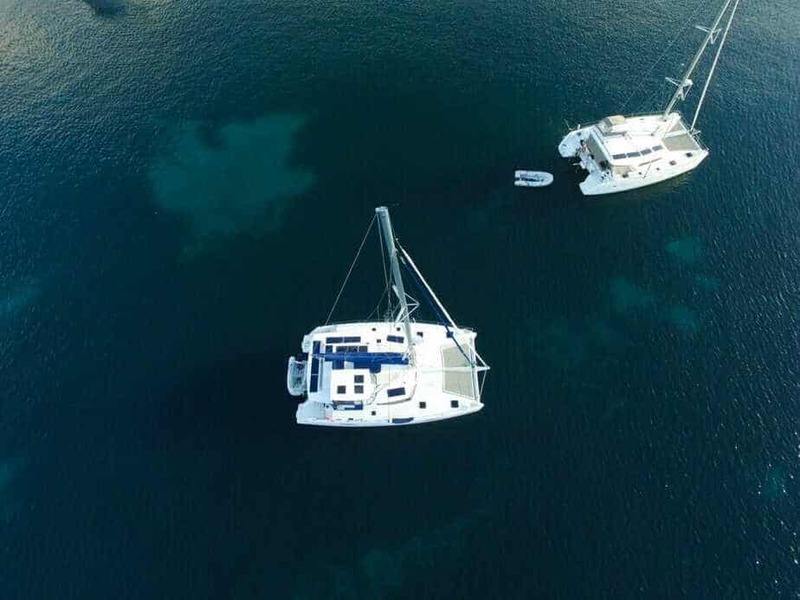 Fortunately, David and the other captain were able to get the engines started, up anchor, and reset the anchor an appropriate distance away from us – with lots of scope out! It’s funny how things like this happen in anchorages. Lots of heads pop up and people assist or keep an eye on things from their decks. 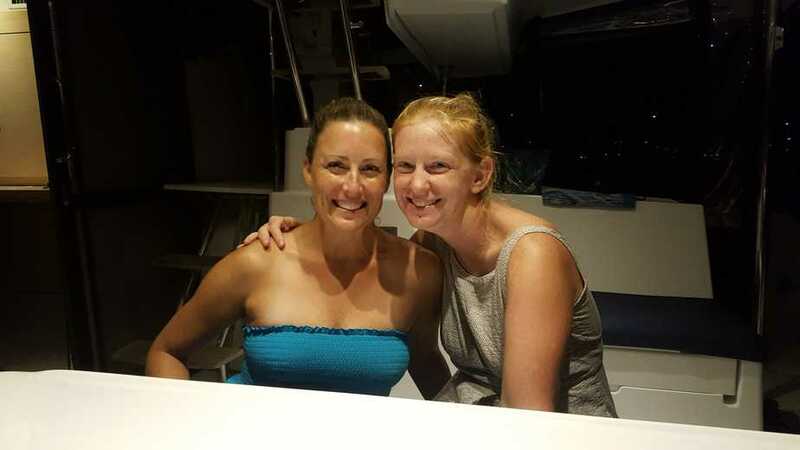 After getting David back – tempted as he was to commandeer the boat – Lisa came over and we went for a snorkel. Lisa and I were stunned by the amount of wildlife we saw in just the small area around the anchorage and moorings. View the album here. Thursday we ran a few last errands in town and David spend most of the day putting the boat back together from projects. In the afternoon, Lisa and Nils picked me up and we went to hike over to the beach on the other side of the Cabrits National Park. The Doyle guide says the snorkeling is good, but upon viewing the swell, we decided the seas were too rough to snorkel. We did have a lovely hike back on the Waitukubli trail though. 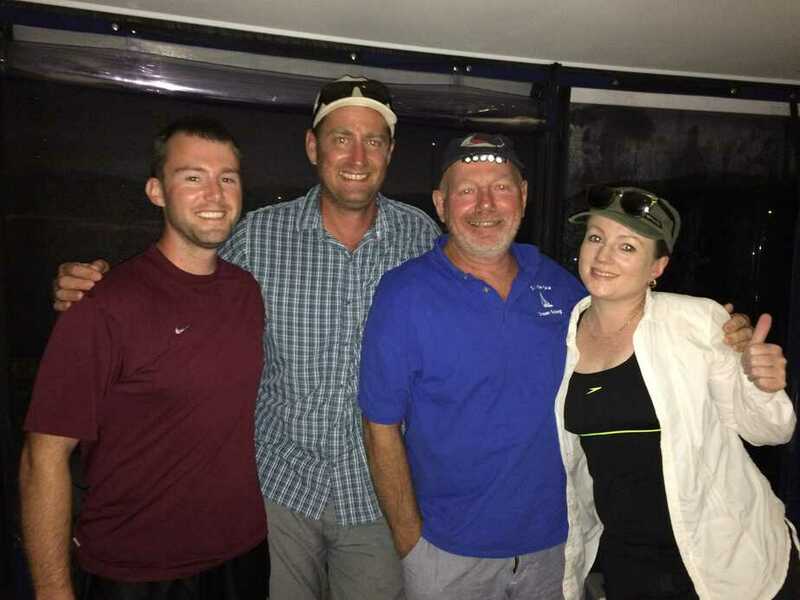 For dinner that night, we went to the Purple Turtle with Lisa and Nils to meet up with the crew of Gaia, Mike and Kirsten, the crew of Alpha Crucis, Tom and Megs, and Melissa, a single hander aboard Acedia. Quite a gathering of Americans (and one very friendly kitty). Saturday morning David was up and off to customs when it opened at 8:30. We cleared out and left the bay by 10 am. 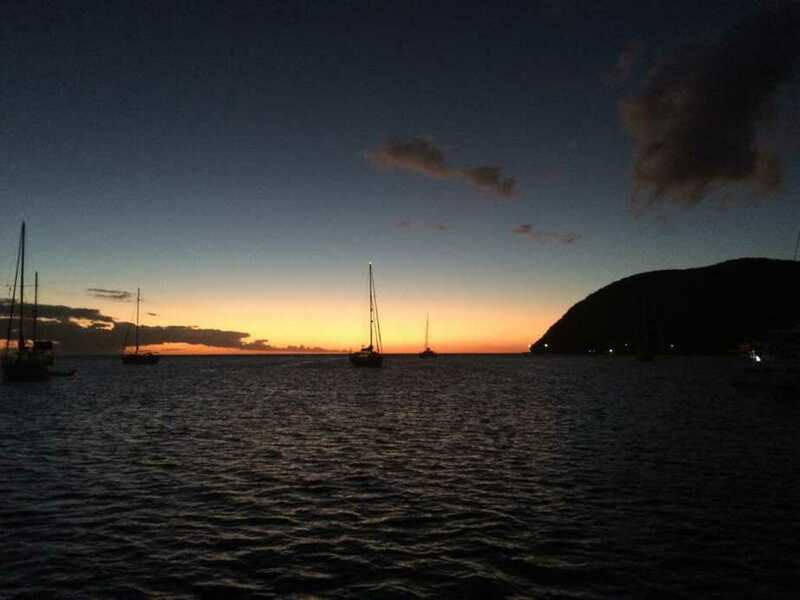 We sailed close hauled for 8 hours to get to Saint Pierre, Martinique, where we slept for the night and then had our anchor up by 8 am for another close hauled sail to Rodney Bay, Saint Lucia. Along the passage, we saw dolphins for the first time in MONTHS (since Bermuda I think) and spent many hours entertained by brown bobbies, who would fly next to us, then zoom up into the leeward side of our sail, so close we thought maybe they had landed on us. It’s wild to watch them skim the water, and we don’t know how they handle the turbulent air directly leeward of our sails. Great overview of the past few weeks. Miss you!